To build its own bikes, Bixxis uses a proprietary tubeset made by Columbus after drawings and indications by Doriano De Rosa. 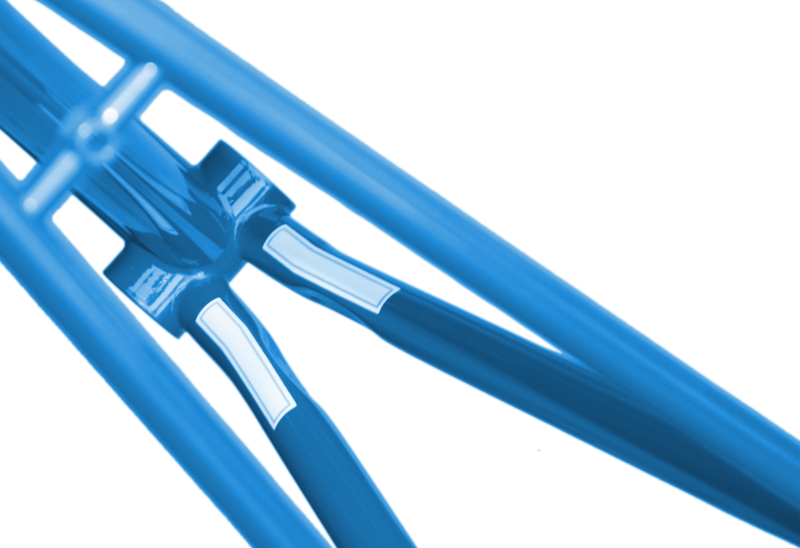 This tubeset includes the X-Stays™ System, a new concept for chainstays. Curved chainstays cross bottom bracket shell extremities as near as possible to the pedals. Bixxis uses X-Stays™ system for its frames, and you indeed will feel the difference on the road. Would you like to know how your Bixxis with X-Stays™ system might be?